Very few airports in the world have been written about and photographed as much as the “Juancho Irausquin” Airport on Saba. Flat Point being cleared as seen from the church on Hell’s Gate (1959). One night I was listening to a Rabbi on the BBC explaining his belief in God. One of the things he pointed out that God gave special gifts to certain peoples and that they should look around and they would recognize what is that special gift given to them. For the Mediterranean countries he said that the olive tree was God’s gift to the peoples who lived around that great historic inland sea. On Saba it turns out that the liquid lava flow which projected itself out into the sea and made a solid foundation was God’s gift to our people. Cristina M.R. Norcross, of Saban Descent, in her poem “The Lava Story Teller” reminds us of how the island came to pass. “Island of clay, sand and earth, liquid lava now silent. You are the land of trees dripping mangoes, and goats clinging to cliffs.” etc. Whereas all the surrounding islands had airports it was claimed that it was impossible to build any kind of airport on Saba. 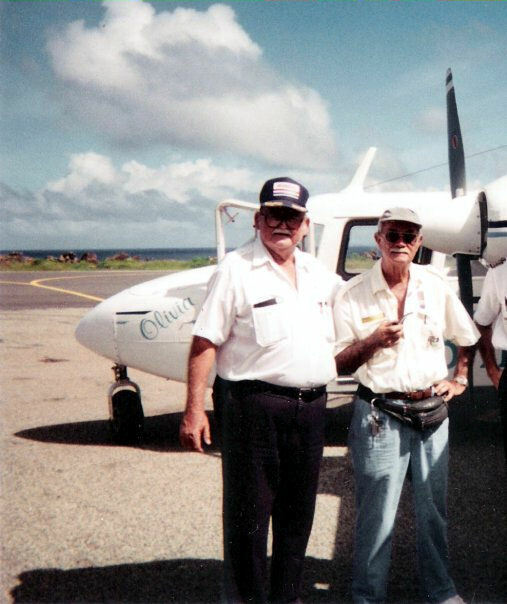 Thanks to Mr. Remi de Haenen who liked to make records as far as being the first to fly into different islands in this part of the Eastern Caribbean and decided to take a look around. He was also a friend of Jacques Deldevert a contractor who was building on all three of the islands claimed by the Dutch. The idea was brought to the attention of the Saba Executive Council which consisted of Mr. Carol Labega, Administrator and Commissioners Mr. Matthew Levenston and Mr. Arthur Anslyn. Clearing of Daniel Johnson’s land at Flat Point for a landing strip. With the exception of the Administrator the two local members of the council were enthusiastic about it. The Administrator of course was concerned about the risks and the potential that he would be the one to be held responsible if anything went wrong. Mr. de Haenen made several passes around the island and chose Flat Point as the only place to land. This part of the island was privately owned. I still have my grandfather’s original bill-of-sale which states that it ran from sea to sea. This was the only bill-of-sale on Saba which could make such a claim. My father used to farm this land and also that of his cousins the Ten Brink family who had moved to Bermuda and the United States. Eugenius Johnson who knew how to mobilize people for a good cause approached my father as well as his first three sons Freddie, Eric and Guy and my father gave the go-ahead to clear the land. I guess my father must have thought that if it did not succeed at least his land would be cleared of all the rocks and he could then plant more sweet potatoes, small corn and pumpkins. Again it was Eugenius Johnson who mobilized the people of Hell’s Gate as well as some from the other villages to help to clear the land. Everyone was quite enthusiastic and within a matter of a couple of weeks with only one or two wheelbarrows available the land was cleared. At that time all the way from Hell’s Gate to where the airport is there was no road, just a goat track. So you had to walk down there and after hours of hard work you had to walk back all the way to the Roman Catholic Church on Hell’s Gate which was as far as motor vehicles could then reach. Feb. 9th, 1959 First landing on Saba: Commissioner Arthur Anslyn, pilot Remy F. de Haenen, mechanic, and Commissioner Matthew Levenston. Mr. Remi de Haenen made a few passes with his plane to inspect the ongoing work. He then visited Saba by boat and gave some more instructions for grading and so on and decided that it would be suitable enough to make a try at it. 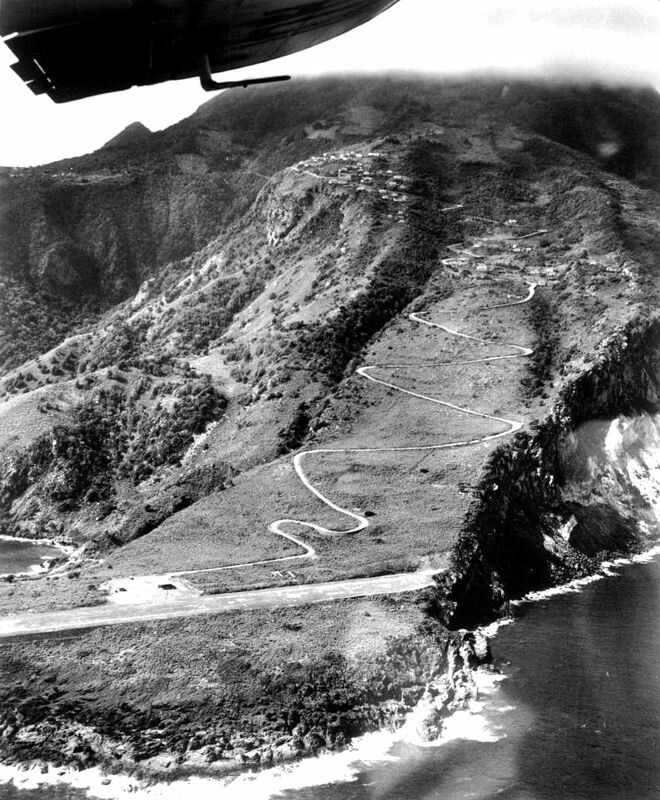 The historic day was February 9th, 1959 and practically the whole of Saba was gathered at Flat Point to experience what they hoped would be the first plane landing on our island. We were in the Boys town in Brakkeput on Curacao and had not heard anything about all that was taking place on Saba. Matthew Levenston’s son Harold was with us and out of the blue he got a telegram which read:”Plane landed safe. Pilot O.K.” and that was it. It took another week before our mail reached and our families back on Saba let us know what had taken place. 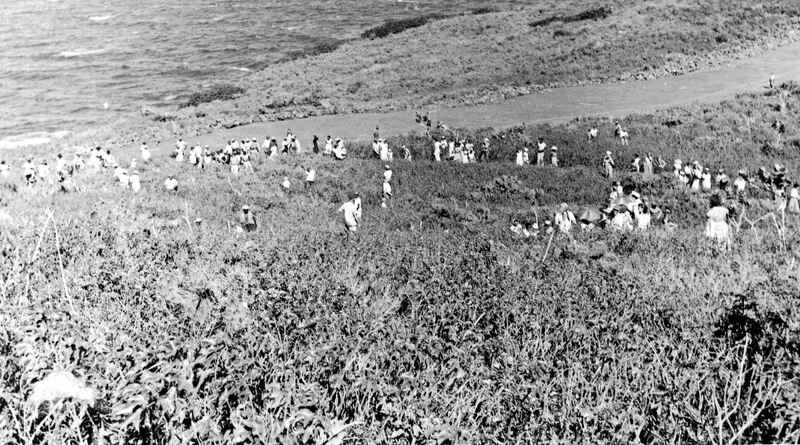 It was a good thing that by 1959 several people on Saba owned camera’s and so a number of photo’s of this historic event were taken which photo’s we can still enjoy today. After this event things went dead. Mr. de Haenen was prohibited from landing on Saba again and nobody seemed interested in pursuing the matter further. 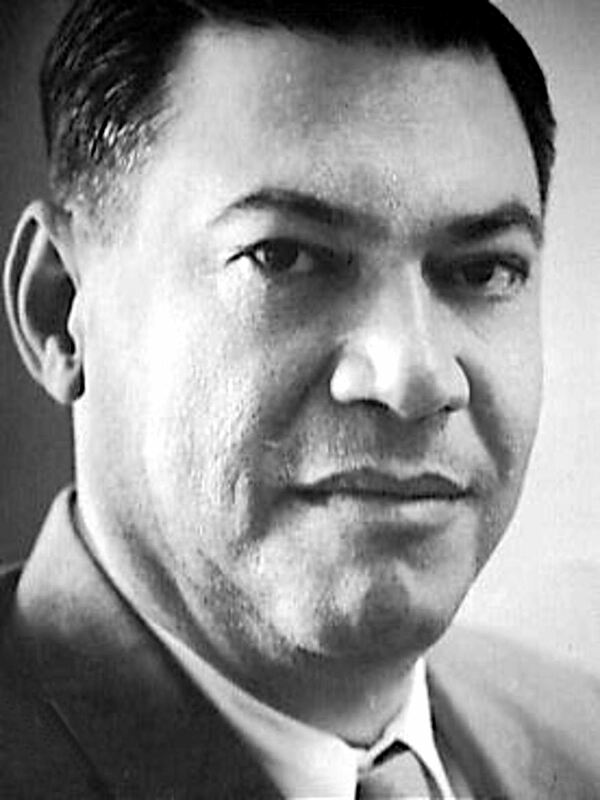 Many people still ask why the Saba government named the airport after the Aruban politician Juancho Irausquin. His is a complicated name and even spelled wrong on the plaque at the airport with a Y instead of I. A name of Basque origin I am told which came to Aruba via Venezuela. Juancho was leader of the then all powerful P.P.A. party on Aruba and had people with him like Leo Chance and Carl Anslyn from Saba. Along with Wim Lampe he paid a visit to Saba in 1960 and together they nearly got lost on the sloop the “Gloria” along with captain and Commissioner Matthew Levenston. Mr. Irausquin later told friends that he promised that if his life was spared the first thing he would do when he returned to Curacao would be to look for funds to build an airport on Saba. At the time he was the Minister of Finance for the Netherlands Antilles. Airport after construction as seen from the air. 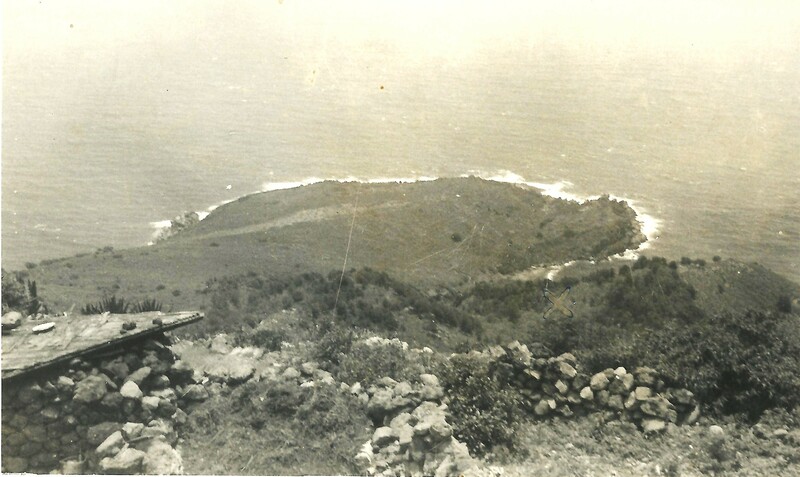 As pressure started to mount for the elections for Parliament in 1962 the lack of an airport became a big issue on Saba. The then popular Administrator Henry Every had pushed through a motor vehicle road to Flat Point for which he was reprimanded by the authorities at the time as they considered it a waste of money and even decided to transfer Mr. Every to Curacao. Results were that Mr. Ernest Voges, Mr. Hugh Lopes and Henry Every joined forces to oppose the D.P. and Claude asked me to go to Saba and help him out. I did as told and I don’t want to claim anything but in conversation with Claude I told him that he should get involved with an airport for Saba as then I could tell voters there that he had a deciding hand in it. And he did. 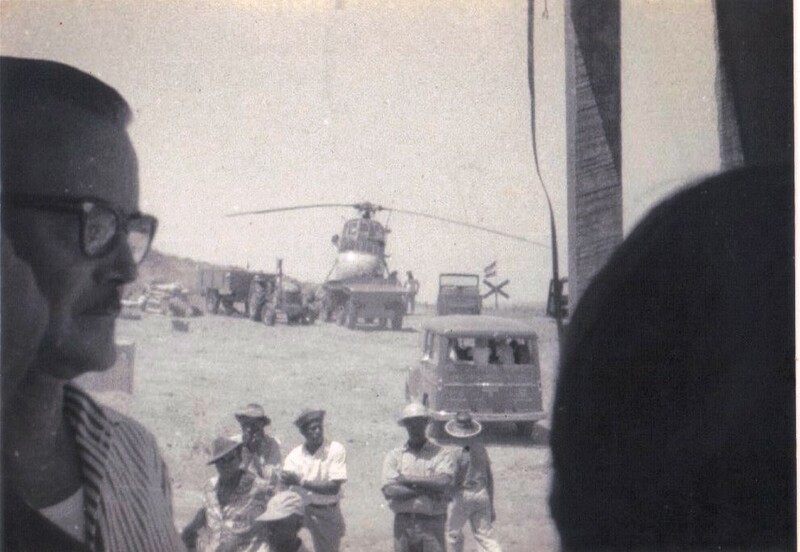 He personally came to Saba to witness the equipment being landed at the Cove Bay. His brother Chester and Jacques Deldevert owned the construction company and got the contract to build the airport. The Dutch government at the request of Juancho made funds available for a three year plan for the Windward Islands and one of those plans was a fls.600.000.- (six hundred thousand) guilders to build the airport. While the airport was under construction I was so-called working in the Post office but out campaigning for Van Hugh Hassell who was from Saba and was the number two candidate on the D.P. list. I was working with Miss Marguerite Hassell in the Windwardside when three helicopters from the Dutch aircraft carrier the “Karel Doorman” decided to land at the airport. I told her I could run the office if she wanted to go see the helicopters which was much appreciated by her. It was March 22nd, 1962 and this was the first time an aircraft had landed at Flat point after Mr. de Haenen’s famous landing on February 9th, 1959. 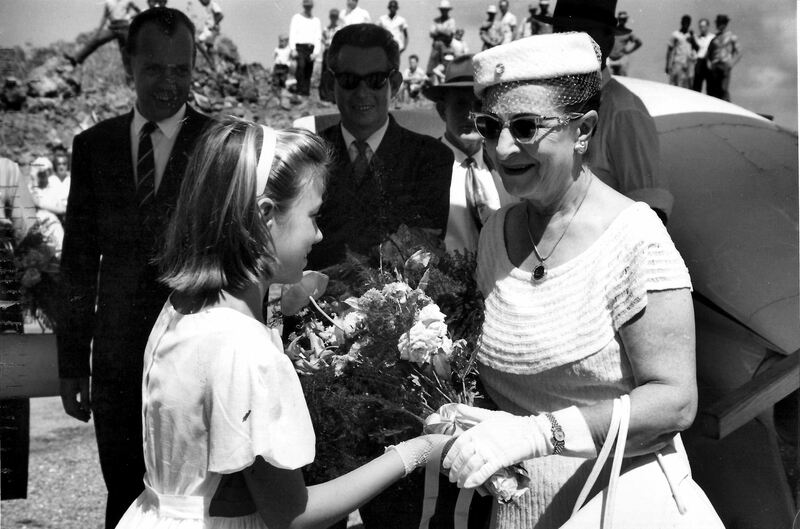 Claude won the elections of 1962 and a week after the elections Minister Irausquin died quite suddenly on Curacao. He did not get to see the completion of the airport named in his honour. In 1963 the construction had reached that far that On February 1st 1963 a twin engine Apache airplane, piloted by George Greaux, landed at Flat Point to try out the newly asphalted runway. 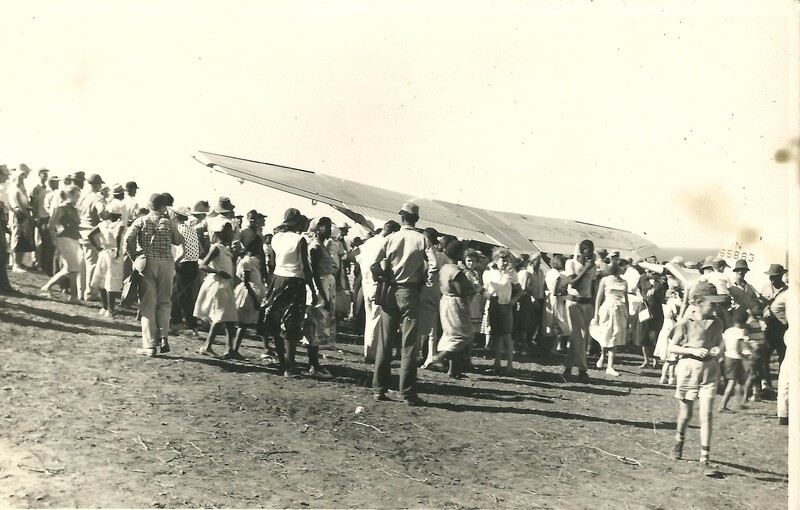 Many people came down to see this landing as well as this was the first time a fixed wing air plane had landed since the landing by Pilot Remy de Haenen on February 9th, 1959. The airport service started on July 24th, 1963 with flights to St. Maarten and St. Eustatius. All was not ready yet for an official opening but the runway was good enough to allow flights though. 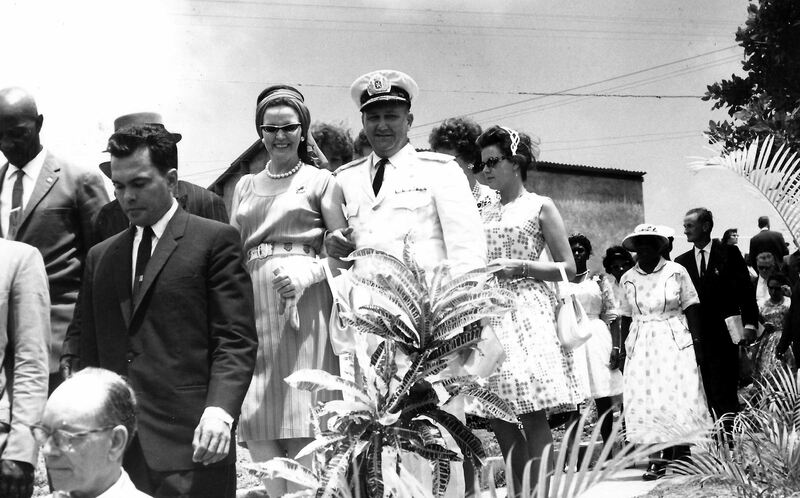 Finally the airport was completed and the date of September 18th, 1963 was chosen as the official opening date, and yes Claude Wathey was among the guests at the opening and many other dignitaries from the other islands including the widow of Mr. Juancho Irausqin who cut the ribbon. My father Daniel was also there and who in the meantime at my request to Chester Wathey had been appointed as the agent for Windward Islands Airways. The airline was a risky investment of George Greaux, Hipployte Ledee and Chester Wathey, Louis Richardson and a handful of others. One has to admire these people who at the time risked their money to start the airline. Then and even now airlines are risky investments and with the high costs of fuel and so on they sometimes make a profit but they operate mostly on losses. It took a while to get a STOL aircraft which could land in relative safety on Saba. 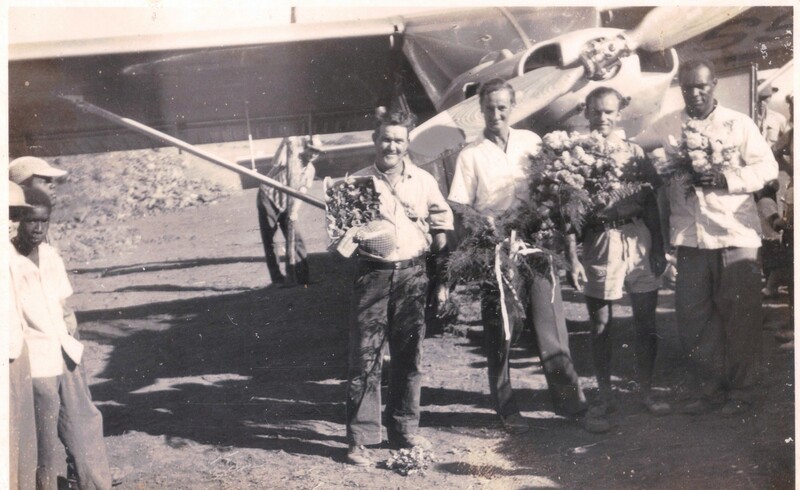 I have some photographs with Father Leeuwenberg blessing the Dornier six seater plane which used to fly to Saba. On the back the date it was printed on Curacao was 2.1.1964 so I assume it was purchased before that date and put into service. In the beginning the plane only flew two or three days in the week and twice a day. Not much traffic back then as very few people could afford to buy a ticket. 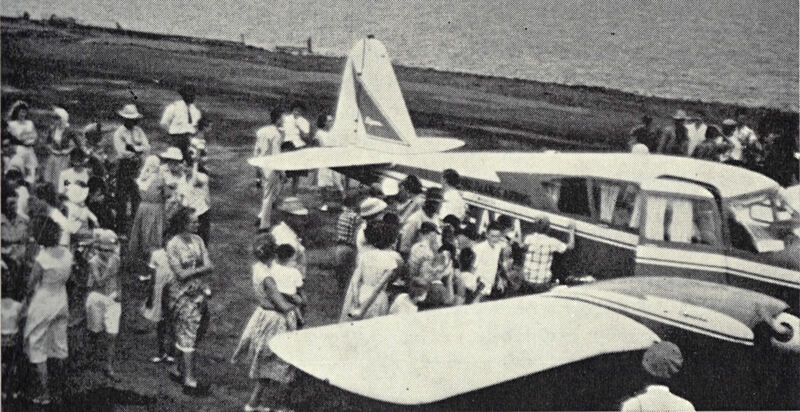 It was mostly government passengers and hardly any tourists came by plane to Saba, as there were few of them visiting St. Maarten at the time as well. 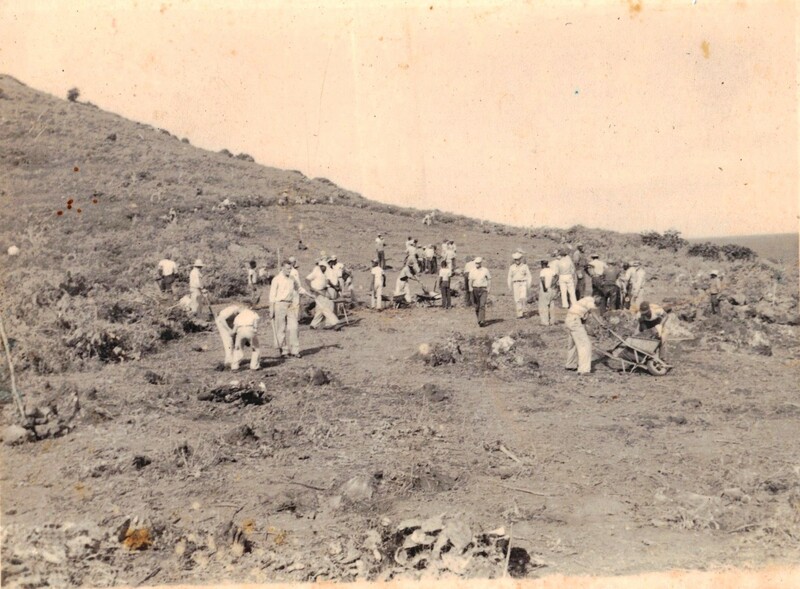 There was also a big uproar on Saba after the airport was built. In 1965 because there was no suitable plane which was deemed fit to land the airport remained unused for some six months. People here became so frustrated that a group of young men one night raised a French flag on the Police Station in Windwardside. Then Administrator Reinier van Delden treated the matter seriously but so far as we know the French flag had raised itself though half of Saba knew who had done it. People checking out de Haenen’s plane. After that the problem was quickly resolved and the airport finally took off. With the acquisition of De Haviland Twin Otters which could carry more passenger traffic picked up and was also helped out when in 1965 the Captains Quarters Hotel was built.When the first Twin Otter landed there were also many people at Flat Point to welcome it. Over the years at least two hundred and fifty thousand passengers have landed on Saba. There have been a couple of incidents with planes. One of them was that on the last flight of the Dornier after landing it ran off the side of the runway. It was too damaged to remove her except the engines were salvaged and the remains of the Dornier were spread among different people on the island. The propeller from the first plane to land here was given by Mr. de Haenen and is on display in the new airport terminal building which was dedicated to Mr. de Haenen on Saba Day in 2003 I believe. Many people on Saba felt that he had been shortchanged and was not even allowed to fly to Saba after his first historic flight which opened up Saba to air traffic with the other islands. He did run for Mayor of St. Barths several times and was elected to that post, and served with distinction even though he had no roots on that island. Over the years several private planes have landed here some with and others without permission until the airport was restricted. In the last years Windward Express has been landing here regularly. The airport manager Mr. Vincent Hassell tells me that over the years as many as fifteen different Twin Otter aircraft have landed here. Also there are now plans to upgrade the area surrounding the runway soon. I asked the ABC Foundation at one time to make a plan for me to extend the runway with pillars on the take-off side. This would have added another two hundred and fifty feet to the runway. Also after many years of not being built the Twin Otters are again being manufactured and we hope that some kind of loan can be arranged by the Dutch and French Governments for a few new Twin Otters so that Windward Islands Airways can continue giving service to Saba and St. Barths. Wishful thinking on my part but you can never tell. Over the years I have landed on this runway over 800 times and have had quite a few adventures with the famous and no so famous pilots who regularly fly to Saba. I must admit though that I have not yet got accustomed to the landing. We congratulate the people of Saba who together with Mr. Remy de Haenen made the airport on Saba possible. Remi de Haeven at Fort Bay 1946.